Sally Miller from San Jose, California is mom to 2 year-old Charlotte and also a budding entrepreneur. She has left corporate America behind to launch her own consignment business, American Consignment Company. My favorite shoes have to be my summer wedges. I bought them in London at a UK store called Russell & Bromley. They look great with jeans and yet are incredibly comfortable. I purchased these shoes over 5 years ago and have worn them many, many times since but they are still going strong! I’ve always dreamt about building a business. And when I discovered consignment sales events, I knew I’d found the answer. This was something I could do and feel passionate about. One of the things I love most about consignment sales is that they offer families a way to make and save money. I’ve met Moms who buy a complete wardrobe for their kids at one event and then sell the entire collection the following year. It’s that easy and a lot of fun! In starting American Consignment Company, my goal is to hold well organized and friendly events that families look forward to each season. My company values are: Quality, Community, and Convenience. We check all consigned items for quality and only accept boutique and name brands. We organize sellers’ items and display them just like a retail store. An event typically runs for 2 to 3 days over a weekend and features thousands of gently used items at great prices. I love this business and hope that shoppers and consignors enjoy coming to my events as much as I enjoy organizing the sales for them! The first event will be held March 2-3 in Los Gatos, California. Check out the website for more details. Santa Claus brought my son an brand new, bright blue “big boy” bike. Surprise, surprise….he loves it! Seeing him out there riding around makes me excited to get a new tube for my bike tire so I can go out there and join him. It is just nice to be outside, enjoying the fresh air and getting out of the house and away from the iPad and the couch. Spring will be here before we know it so it is a perfect time to get ready for outdoor fun. Last week a high school classmate of mine was telling me about these super cool family bikes from Xtracycle – the FreeRadical and the Radish. They are awesome. I just had to spread the word because I thought they were so cool and so great for families. They are ideal for peddling to spring picnics, trips to the farmers market and even for little cruises in the neighborhood. What I love is that the bikes are extra long so you can actually carry 2 kids, not just one. How practical and fabulous is that?! And there is still room for toys, a diaper bag, a frisbee and groceries too. So go check their site out today and see what you think. It might be time to make a little room in your garage for one of your own. A cool ‘toy’ the whole family can enjoy. I love paper and I love stationery. I have been tempted many many times to frame all of my favorite note cards and hang them in my office. In fact I have been know to buy note cards to do just that. Some day I will actually get organized and will buy the frames and get out the hammer and nails to make it happen. Even though I love paper – I also love Paperless Post and the way they have transformed digital communication. Part of the vision of Paperless Post is that “Communication is an extension of personal style: how you say something is often as important as what’s being said.” It is so true! A simple note on a fabulous card can make such a powerful statement. An email does not have to be so darn boring and there is so much more you can do than simply change your font. This week’s featured Modern Mommy is Kelly Yaep from Southern California. In addition to being the super busy mom of three little boys who are 8, 5, and 2, she recently launched a new (and very cool!) company called Wee Drool. I just love her unique designs and innovative solution, so I asked Kelly to be a Sweet Peas & Stilettos featured modern mom. I am so thrilled she found a few minutes to fill us all in about her company, and of course to tell us about her favorite shoes too. At Sweet Peas & Stilettos we LOVE shoes. Do you have a favorite pair of shoes? My favorite pair of shoes right now are these camel sueded booties I got from DSW a couple years ago. I love them because they are so versatile. They are neutral in color so can be worn with a ton of different outfits and look great with a casual outfit as well as a dress! We want the scoop – please tell us all about your fabulous company! Wee Drool designs eco-friendly waterproof reversible bibs for babies and toddlers. They are designed to look and feel like a hip T-shirt to keep your little one dry and in style! It has been an exciting ride since my launch in April 2012. My 3 sons were the inspiration behind the product. They were all major droolers and by my third son I decided to do something about it. I developed a product this product out of pure desperation to address the many problems that the normal bib poses. With no bib in the marketplace that met my expectations of function, quality, comfort and of course style, Wee Drool was born! I designed the bib to resemble a hip graphic tee that can’t be yanked off, won’t flip around like a cape or flip over the baby’s face when lying down. I wanted to baby to look and feel like the bib was part of their outfit. The Wee Drool T-Bib is designed for the eco-parent and fashion-conscious parent and tot. T-Bib – comfort + less rash = happy baby and less laundry = even happier mom! Wee Drool bibs are good for baby and good for the planet! We are committed to providing superior quality products that are environmentally safe. We use low impact dyes, environmentally friendly water-based inks and recycled paper hang tags. We are also proudly manufactured in the USA! If you don’t have a little one with a lot of drool or mess, this also makes a unique go-to baby shower gift! I was out shopping this weekend and popped into one of my favorite store in Los Gatos, She She Shoes. Up at the counter was the most glorious combination of colors. I have always been a fan of bold, colorful necklaces, but this collection of jewelry was so much more. The girls in the shop introduced me to Chewbeads and told me they have ben flying off the shelves. I can understand why! Chewbeads are “mommy chic, baby safe, fashionable teething jewelry.” All of the colorful beads and great bracelets are made of silicon (the same material that most pacifiers are made from) and they are completely free of BPA, PVC, phthalates, lead and any other yucky stuff. They are soft enough so your baby will love chewing on them and then you can just clean them with gentle soap and water. They are brilliant! I was piling on a few of the necklaces together and they are just adorable. They come in a rainbow of colors so it becomes really hard to pick a favorite. They also come in black and grey (two of my staple wardrobe colors) and look incredibly modern and cool. There was this really simple black cuff that I need to buy. I know it will look so cool paired with some gold bangles. Without a doubt, these are my go to gifts for moms and moms-to-be. In fact, you don’t need a baby to wear Chewbeads. They are simply wonderful lightweight necklaces you will wear over and over again. Love them!! Looking for a fun eco-friendly gift idea? Just in time for Mother’s Day Paper Culture is offering 40% off their Bamboo Wall Art. The 40% off sale ends April 30, 2012. Be sure to use the code: BAMBOOMOM at check out. So here is the scoop about Paper Culture’s bamboo wall art. First of all, you can select from a range of modern designs, many of which include the ability to personalize your art with your own photo, name or custom phrase. You can make wonderful gifts for mom or grandma with these. I also think they make charming decor for your child’s bedroom too. Every piece of art is mounted on an eco friendly bamboo panel. They have made it super easy to hang on the wall too with their pre–drilled, easy–centering hole. And if great design and simple installation wasn’t enough, you can feel great about your purchase because bamboo is one of the fastest growing, most renewable plants on the planet. Love that! So pop on over to Paper Culture and check them out today. Maybe you’ll end up designing one for mom and one for yourself…. Many of you have probably read about Jessica Alba’s company, The Honest Company by now. They have been getting a lot of press lately and I must tell you – the products are fabulous! This picture shows a number of the products we have been trying at my home and I am here to fill you in on my thoughts. 1 – The packaging is close to perfect. I swear – even the cardboard box that arrives at your doorstep is cute. (I actually converted it into a recycling bin in my office because I didn’t want to part with it.) And then you open the cardboard box and you are greeted with vibrant turquoise blue happiness and a surprise ‘thank you’ note at the bottom. They have not skipped a single detail and have been incredibly thoughtful in making every aspect of interacting with, and consuming their products a delight. The colors and flowers on the individual packages are so pretty too. These are not items that you will want to hide in a cupboard under your sink. They are so fabulous you will want to proudly display them near every sink and bath in your house. If I was giving out grades here, I’d give a hands down ‘A+’ to the graphic designers and packaging team at The Honest Company. Kuddos! 2 – They smell so so so so good. I hate most scented products for the bath and end up sneezing away whenever anyone lights any sort of scented candle. Of course I love the smell of warm chocolate cookies baking in the oven – but this is not about cookies… (Maybe I am just hungry tonight for something sweet…) All of the products from The Honest Company smell incredibly clean and fresh. Not that powdery fresh – just really crisp and clear and clean smelling. The items that are in fact scented, like the tangerine dream bubble bath and sweet orange vanilla conditioner, are farmer’s market fresh. The scents are subtle but delicious. My son has been asking me why I have been putting so many bubbles in his bath lately and the answer is easy – because they smell so darn good. 3 – Light but effective products. It is one thing for the products to be pretty and for everything to smell yummy, but do they actually work? Yes! The face and body lotion is so sheer – perfect for an infant and his 40 year old mother alike. The conditioner, the hand soap, everything I have tried, I have honestly loved. When I first saw that they had dish soap, I thought it would be good for baby bottles and sippy cups. I have to tell you it has actually worked on all of my pots and pans too. 4 – Giving back in an honest way. At the heart and soul of The Honest Company is a foundation of giving back. “That’s why with every product you purchase, The Honest Company donates product, money, time, and effort to addressing critical health & social issues affecting children and families.” It doesn’t get better than that. I want to thank the team at The Honest Company for their generosity in sending me some of their products to try out. I can honestly tell you it has been a sheer delight to use them. I am thrilled to share the news that Paper Culture (one of my favorite partners) is offering a very special promotion for Sweet Peas & Stilettos readers – Get 10 FREE cards from Paper Culture! (Use ‘FREE10’ at checkout). Paper Culture has raised the bar on being eco-friendly. Their cards and envelopes are made from 100% post-consumer recycled materials, they only use recycled materials in their packaging, and they will even plant a tree in your honor with each and every order. I have also been continually pleased with their modern designs, the weight of the paper (no cheap looking flimsy cards here!) and their use of rounded corners on all of their cards. When you receive a card from Paper Culture it feels special. 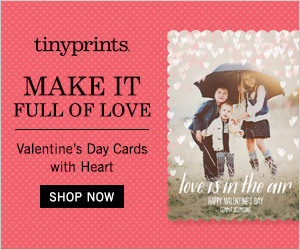 Shop their party invitations, baby announcements, personalized stationery and more. And don’t forget to order your 10 FREE cards from Paper Culture! Use ‘FREE10’ at checkout. Shop Now! The scoop: This 10 free cards offer is available through March 7th, 2012. It is good for new customers, cannot be combined with other offers and do not include taxes or the cost of shipping. A little hint – if you use their mail and message delivery system, which would just include the cost of the stamp, they will take care of mailing your cards and you won’t have to pay any shipping. Believing that each and every baby deserves the best, celebrity mom Jessica Alba and her business partner, former CEO of Healthy Child Healthy World, Christopher Gavigan (who just happens to be the husband of wonderful actress and mom Jessica Capshaw which makes him Steven Spielberg’s son-in-law) launched The Honest Company. Their line of baby products (diapers, bath, body and cleaning products) are not only “effective, but unquestionably safe, eco-friendly, beautiful, convenient, and affordable.” I just love the colors and designs on the packaging. You’ll want to leave the products out on the counter instead of hiding it in a cupboard. The diapers come in a number of really cute designs too. And with every product you purchase, “The Honest Company donates product, money, time, and effort to addressing critical health & social issues affecting children and families.” With a perfect combination of savvy style and passion for social goodness – what’s not to love.